I’m going to try to make a case for the use of observers in professional ultimate. Before I do this, I should make one thing clear: this is not an obvious decision. There are some good reasons to use consider using referees. My purpose here is not to show some dazzling new idea that makes you sit up and realize how amazingly right I am. Instead, I think that when you count the checkers on either side of the debate you’ll come to the same conclusion I have. That said: the decision-makers for the American Ultimate Disc League and for Major League Ultimate leagues have been working for many months, and I think the time is now to make this argument. By April, the work will already be mostly done and decisions will already be mostly made. Lastly, it’s important that I can frame this argument in terms that actually make sense for profit-driven business. Why? Because unlike what we’re used to, professional ultimate is a business, and every “game” decision has financial implications. If it puts is better financially, either short-term, long-term, or both, it will be considered and could very well happen. Doing something “for love of the game” alone just isn’t going to cut it. Too often, I think “liberals” like myself tend to try to win people over with logic that just isn’t logical. If I can’t argue for observers in a way that makes financial sense for a business, then that is a mute argument. And maybe it means my ideas aren’t that great. The worst part is that there are liberal causes that make great economic sense but are argued from a moral or philosophical perspective. That’s just bad politics on the part of the liberals themselves. Get on with it, Ben. Observers are a good bet for professional ultimate leagues on three main topics: cost, market and product. There are certainly potential downsides to observers in terms of delays, motivations, and uniqueness, but these are less important than the potential benefits. First, there is an important distinction to make about the words “referee” and “observer”. To date, referees = officials that make all calls. Observers = officials that make some calls and rule on some disagreements on calls. The extent to which observers make active calls is a confusing issue. Are they still observers if they make travel calls, or are they referees? What about time limits? What about calling the stall count? Ultimate Observers Association observers call the stall count but fouls are still called by players. Is that blending referees and observers together, or is it still a player-controlled game? These are good questions, and the distinctions are complex. For my purposes, I think the single most relevant piece that defines all observers are that contact fouls are still controlled by players. This is important because players control the level of physicality, and the game does not need to balance punishments against players potentially intentionally causing pain or harm to each other. I also think this is important because fouls happen all the time, and player-control of the game needs to be readily evident (and not just something that happens every once in a while). As long as players control a common and vital aspect of the game, officials can be called observers. By the way: “observers” is a terrible name. I hope that MLU uses observers, but I hope they call them referees. I just hope that in ultimate, it is known that referees and players both make calls. I am going to keep calling them by these names for clarity’s sake…but I don’t care about the names themselves. Professional leagues are going to be walking a tightrope financially, and any potential systematic cost-saving will be valuable. Observers cost less than referees. Observer training in ultimate is far more mature than referee training in ultimate. There is already an observer system and years of experience through USA Ultimate and to a smaller extent the UOA. There is expertise out there. It is far cheaper to tap into this supply than to train new referees. While it is true that trained observers could learn to be referees, there are serious costs in building any kind of human capital. USAU has spent a ton of money building a system. No matter how imperfect, that free lunch cannot be ignored. In Seattle, for example, there are at least 2 dozen trained observers that could potentially work MLU games. Referees have more responsibility and will need even more training. An average observer doesn’t hinder the player-controlled game because the players still control the vast majority of the control of the rules. A bad one might not even matter, so long as they understand the mechanics of keeping the game moving. How many bad calls will they actually rule on incorrectly? Few. On the other hand, a bad referee can ruin the experience. Especially to ultimate players used to having well-officiated games, poor refereeing can be a serious shock. Remember what the NFL was like with replacement officials? Those officials had all been through years of referee training and practice. And they were terrible, and they changed games frequently and noticeably. If professional leagues use observers, they put the onus on the best possible experts in the sport (the elite players). If they use referees, then they need to be ready to lose fans to poorly refereed games. Successful business people put their projects in the hands of experience, and not in the hands of a class of rookies in their job. One major argument for referees has been that non-ultimate-playing fans will not understand observers. They argue that new fans will want a clear and normal officiating that they can easily understand. This argument would lead you to believe that football, with seven officials on the field and an esoteric system of using four more in the broadcast booth is ‘simple’; that umpires are clear and easy to understand—especially in that they call balls and strikes—even though a computer can do the same thing more accurately and in the same amount of time; that soccer referees subjective playing of ‘advantage’ is not one of the weirdest possible officiating practices. Every sport has refereeing differences. Every sport has fans that learn quickly or simply don’t care. If the NFL came out today and said that players would now be self-calling illegal formation calls, there would be an uproar…for about a week. Then it would be standard practice by next year, and fans would adjust as well as they adjust to any other confusing rules change. It is the sport that puts them in the seats. As long as the game keeps moving (and sometimes, like in football, even when it doesn’t, like with “instant” replay) fans will watch and enjoy the good parts. This argument that fans need simple officiating simply doesn’t have a basis in real professional sports. If it did, you would see pro leagues of all types quickly adopting uniform refereeing to be more similar. Soccer would lose the advantage rule, or baseball would start using replay for balls and strikes, or basketball would put 3 more officials on the court. They don’t, because they know that new fans care far more about the game than about the officials. 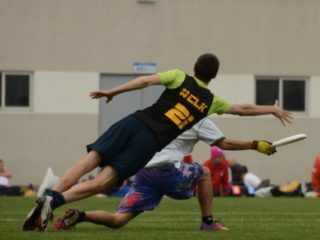 Delay is a major argument used for referees in ultimate. It is also one that I agree with. Whatever officiating system is used, it needs to be fast. The long arguments and explanations that you see at USAU Championships are absurd from a fan’s perspective. Calls should be resolved in less than 20 seconds, with routine calls resolved in far less time. That would put us in line with football and soccer and near basketball and baseball (with their hundreds of years of practice and success). I’d like to note that basketball and baseball when refereed by anything other than the top 100 officials in the world can be extremely delayed, so this isn’t necessarily a “refs are always faster” thing. It is that great refs are fast. So are great observers. While I understand that a poor referee will resolve calls more quickly than a poor observer, I think that a great referee will have little, if any, time advantage over a great observer when considering the fan experience. 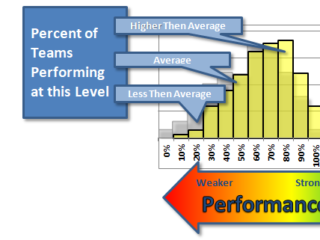 The skills needed to keep a game moving and watchable are not unique to referees. This is going to sound incredibly self-serving, but I think it is germane: When I observe a game, there is only a tiny bit of down time for each call, and I think the best of the observers at the Championships are exactly the same. We know when a call is going to take more than a few seconds, and we get involved helpfully and executively when needed. Consider that USAU uses a volunteer army—one that we should all thank profusely for its time— of often barely-certified observers with mixed results. If we start paying the best of these observers, I think that we are going to minimize the delay problems to a tiny degree. A system that allows players to decide on many non-calls may actually have wide-ranging advantages on refereed systems. Again: bad referees keep the game moving more quickly than bad observers. In my experience, the same is simply not true when comparing great officials. When you add this up, professional ultimate could save a lot of money by using observers. They can have fewer officials that have less-intensive training without bothering fans. 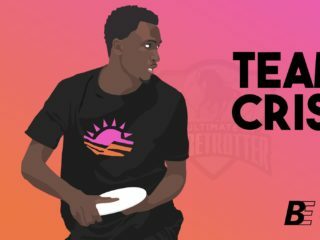 Professional ultimate leagues need to access two different markets: the existing player population, which is smaller but hungry for ultimate, and the greater population is far larger but doesn’t yet know it loves ultimate. Leagues need both to succeed. The existing ultimate population is the seed. While small, we are a passionate army for our sport (and many of us have children with already annoyingly-good throws). We are the ones that will buy first and second year tickets, and we will be the ones to evangelize to our friends if the product is good. For every dollar in advertising that a team owner buys, they will get 10 dollars of free advertising in Facebook posts, word of mouth, and reputation building. Grassroots word-of-mouth is the holy grail of advertising, and it can’t be created without these people. When they put a radio add on the air or staple up a billboard, this is the real goal anyway. This is going to come from existing players. If professional leagues split the market by using referees, they risk a schism. They have little room for error because fans can still go to see (or stay in to watch online) USAU or NexGen games. But by using a similar system that is familiar to existing players, pro leagues can leverage their effort and investment to create a better product. MLU observers can be more consistent and work more quickly. AUDL observers can be better with their mechanics. The pro league product can just be a better game to watch (since that is where they are putting their effort) and they can win a bigger and bigger share of the existing market. If they do this, they win a bigger and bigger share of those ten dollars of free advertising as well. Building a new league using existing observer systems has a greater to potential to reach the existing audiences that already know and love the game. The greater population is the real goal. 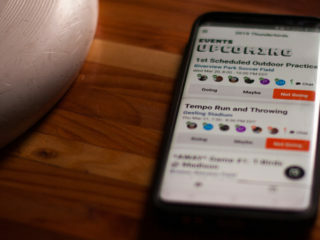 Ultimate has several unique features that will attract new fans. Most notably, it uses a disc, has more rampant athleticism than most sports, and play is both continuous and exciting. To a much smaller extent, it is unique that ultimate is at least partially player controlled. Professional leagues will benefit by accessing the existing market and letting their advantages in watchability and stadium experience shine through instead of reducing their game to a Ref vs. Observer debate. Imagine you are a software developer looking for an investor. You tell them that you have a working program. By the way, the program also has a unique interface that some people may find cool. Do you think the investor is going to ask you to throw away that second unique thing? Uniqueness is a powerful ally, not something to be feared. Assuming the unique aspects are not harmful, any investor in their right mind would look at this as a chance to invest in two products and not just one. MLU should be looking at player-control as a chance to access the market for people that are turned off by refereed sports. Is that market out there? I don’t know. I know how many people complain daily about the diving, posturing and disrespect in soccer. I know how fans went crazy when the best few referees for the NFL held out this year. I know my brother doesn’t watch football or basketball because “it always becomes lawyerball within the first quarter”. More than any of these things, I’ve heard from dozens of parents that chose to support their children playing ultimate specifically because the player-controlled nature of the game is something that they want. You might look at this as silly liberal pandering. On the other hand, true market research is made up of conglomerated opinions just like this. Why would you throw away a unique aspect of your product? It doesn’t make financial sense do throw it away unless you are sure that you completely understand the potential markets. And I think there is just as much reason to think that player-controlled sports have a potentially larger market (and not a smaller one). The product is also important for the players. An officiating system that the players like is more likely to bring in the best players (and the highlight plays and consistent skills that they alone have). 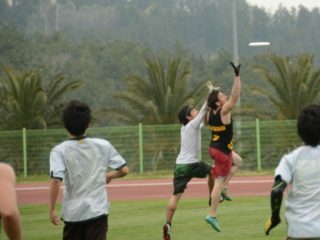 There are some players that love self-officiating, and for them playing professional ultimate will be a second-best unless it includes some aspect of player control. On the other hand, there are some players that don’t enjoy the dual motivations of needing to be honorable and playing hard at the same time. I don’t know what the balance is. Neither, I think, does anyone else. If most top players want to eliminate player-control then this is a serious argument in favor of using referees rather than observers. I’d suggest that this percentage is small. It may be a majority, but I don’t think so. It’s just that these players tend to be louder than those that are happy with the system as is. In light of the other positives of player-control, I don’t think that this hard-to-define segment of the elite player population is necessarily large enough that this should tilt us in favor of referees. I think that keeping the status quo for players is a small risk. I think the chance to brand ultimate as “The Honorable Game” has huge potential to far outweigh these arguments. In addition, I think the player experience is better because of the one-game-per-day model and the chance for better venues and more exposure. In my opinion, those offer more benefits to for a broader range of players than a change in officiating style would for those players that don’t like player-control. Taken together, professional ultimate stands to gain by keeping player control in the sport. If they do this, they will create the best product and hopefully access the market niches that will help build their fan base. Before I finish, I’d just like to note the arguments that I avoided. I didn’t trot out my typical “observers are good for our collective soul” argument, even though I believe it is true. I think the real enemies are hatred, obesity, and alienation. I’ve seen Ultimate combat these evils. But this doesn’t figure into an economic argument so I think it just muddies the water. We’re sticking to the stuff that determines the bottom line. I also didn’t use any ‘slippery slope’ arguments. I think these go both ways, and typically make it hard to do any real mental math. This would be something like “if observers make more calls, they will eventually be referees”. I’m focusing instead on real economic arguments for league organizers right now. I’ve tried to outline some of the good arguments for using referees, but also describe that these smaller arguments don’t win the overall discussion. For me, the larger possible benefit in reduced costs, better access to markets and a better overall product makes observers the right choice. Heck, if MLU was using observers I would sign up to coach a team right now. I told representatives of the AUDL the same thing last year. Maybe I am just a bleeding heart liberal. The real choice is in the hands of the people running these leagues. They are making these decisions now. If you disagree with me on some particular point (or all of this, or where you see things that I have missed) feel free to post in the comments section. I’d like to develop this argument, so it will help even if I can’t respond myself. Besides, there are many people smarter than me that I hope will continue the discussion on various sides. If you agree with me on this, I’d love it if you helped to advance it. You can do that by sending this article to your local MLU or AUDL team. Or by writing them yourself. Or liking this on Facebook. Or even just by commenting below and saying that you agree…or just +1ing a post that does. Those numbers might matter if an MLU or AUDL honcho does read this.